“Power House” Can Teach You AND Your Kids How to Lower Your Utility Bills! Water and power are things we have to pay for when living in your house, apartment, condo, or hole-of-choice/convenience, but there are plenty of things you can do to lower that pesky utility bill. Here’s a game developed by Stanford University and the U.S. Department of Energy that’s free, entertaining, and can educating you on the importance of using water and power ONLY when you NEED it. 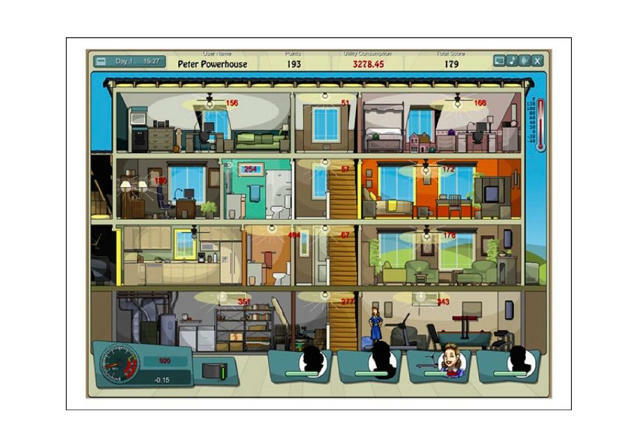 The game, Power House, is free to play on Facebook and follows a small family as they go about their day-to-day activities and routines. 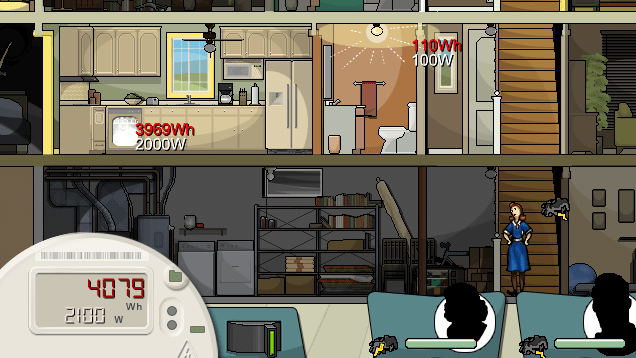 In the game, you have to turn on lights for them, run the water, and remember to TURN OFF as many unused utilities as possible. Think of ‘The Sims’, however they do whatever they want and it works much faster. If you look at the bottom left-hand corner there’s a meter showing how much power has been used in total, as well as how much power is being used at the given time, using real life equivalents. The goal of the game is to waste as little water and power as you can over the duration of four days. In the end, it’s pretty great to get a gauge for seeing just how much water and power can be wasted when you leave the water running or forget to turn a light off, plus this game could be a great tool for getting children in the habit of turning things off when they aren’t in use. KNOWLEDGE IS POWER!! Previous Previous post: Who wants to see some 1:1 Robot Arm Controlling?